Your guest list includes cherished relatives and friends who have come together to share in your joy! 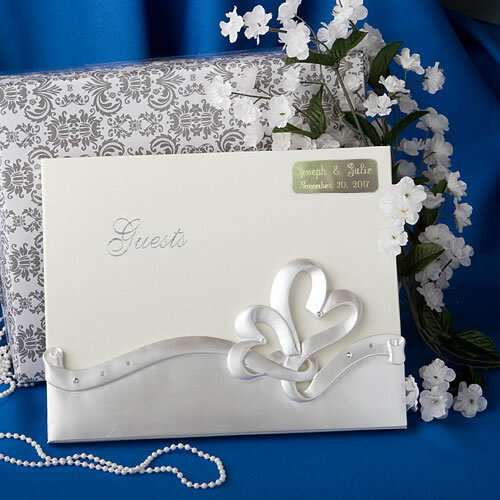 And this elegant interlocking hearts guest book makes it easy to record their names while also providing a lasting keepsake that holds memories for years to come. Perfect as an accessory for a heart themed wedding or to add elegance to any wedding celebration, each interlocking hearts wedding guest book 's collection of wedding accessories measures 9.875" x 7.875" and has a white poly resin detailed - carved interlocking hearts applique.